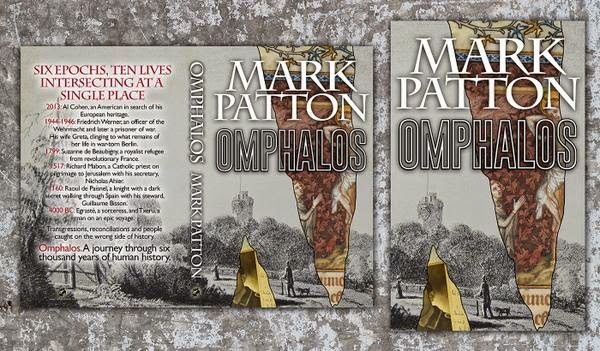 Time Present and Time Past: "Omphalos" - A Preview of the Fourth Story - "Jerusalem"
"Omphalos" - A Preview of the Fourth Story - "Jerusalem"
The fourth story in my forthcoming novel, Omphalos, is set in 1517, and follows two men on a pilgrimage to Jerusalem. One of these characters, Richard Mabon, is historical, whilst his secretary, Nicolas Ahier, is fictional. It is known that Mabon, the Rector of Saint Martin's Church and Dean of Jersey, did, in fact, make the pilgrimage at around this date, but no account of it has survived, and we don't know who, if anyone, travelled with him. Mabon was accused, after his death, of contriving false miracles, but this may simply be Protestant propaganda against one of the island's leading Catholic clerics. I have chosen to portray him as an ingénue rather than a fraudster. The story is written in the style of the time, as the sort of document that might have survived, but didn't, taken down by someone who had spoken to Mabon and Ahier, and whose reading, perhaps, of Rabelais and Cervantes had opened his mind to the humorous potential of their various misadventures. By the beginning of the 16th Century, the Venetian galley-owners had established a near monopoly over the pilgrimage from Europe to Jerusalem, so it is almost certain that Mabon would have travelled by way of Venice, and this is where the story opens. These galley-owners were, in effect, operating the first package tours in history, charging a fee that included passage on the galley, and guiding and accommodation in the holy land, and liaising both with the Muslim authorities there, and with the priory of Mount Sion. Venetian galleys at Rhodes, from Bernhard von Breydenbach's Peregrinationes in Terram Sanctam of 1486 (image is in the Public Domain). Rhodes, Crete and Cyprus were all stopping points on the journey from Venice to Jaffa (modern Tel Aviv). A number of genuine accounts of such pilgrimages have survived, including that of an English priest, Richard Torkington, who travelled in 1517 (and features in the story as a minor character), and that of an Italian priest, Pietro Casola, who travelled some years earlier, and I made extensive use of these sources in researching the story. 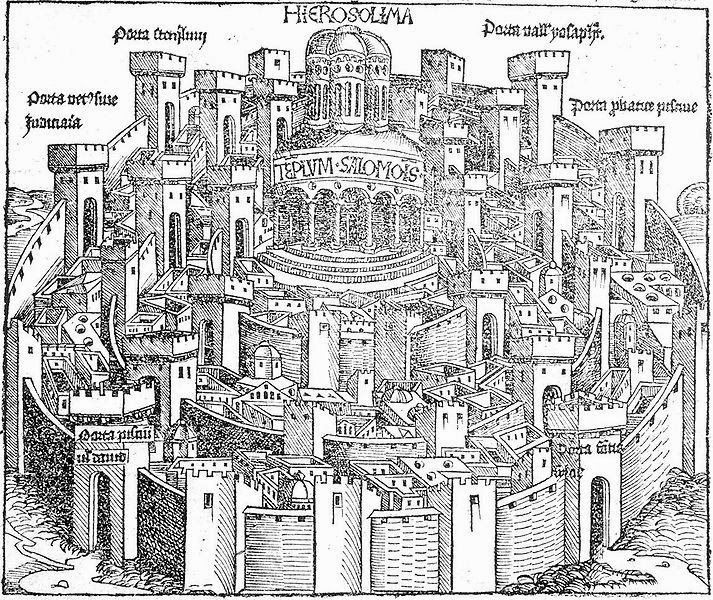 A prospect of Jerusalem, 1493, by Hartmann Schedel (image is in the Public Domain). Europe in 1517 stood on the very cusp of the Reformation, but a pilgrim would not necessarily have realised this (and my fictional version of Richard Mabon certainly does not). It was in October of that year that Martin Luther published his Ninety-Five Theses and, after Henry VIII's break with Rome in 1532, it became virtually impossible for British pilgrims to travel to Jerusalem. Luther did not produce the Reformation out of thin air - his criticism of indulgences, and of the veneration of relics, were shared by many people in the early 16th Century. Richard Mabon's dogged adherence to the Medieval form of Catholicism, therefore, would have made him an increasingly anachronistic figure as the century progressed. 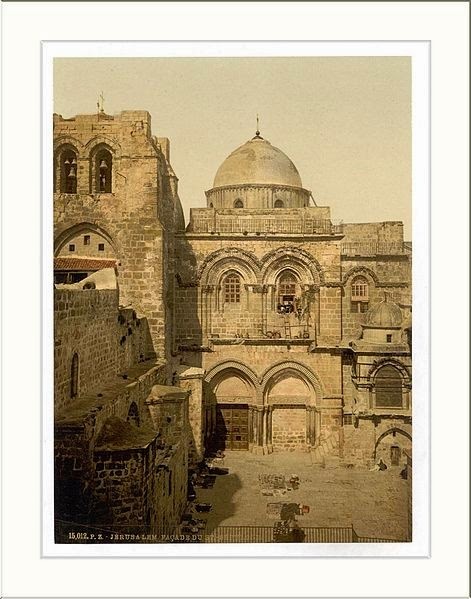 The Church of the Holy Sepulchre, the ultimate destination of pilgrims to Jerusalem (image is in the Public Domain). 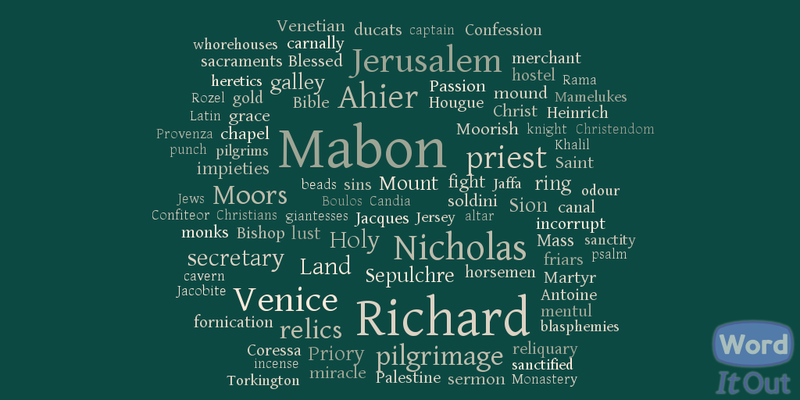 "On the fifth day of January, in the Year of Grace 1517, our most reverend Father in God, Master Richard Mabon ... resolved to visit the Holy Land on pilgrimage. 'It will not do,' he said to Jeanne, his housekeeper, 'that every week I preach to the people, telling them of places of which I know no more than they do' ... The following Sunday, he discussed his intentions over dinner with his friend and neighbour, Jean Lempriere, the Lord of the Manor of Rozel, who suggested that he should take with him, as his companion and secretary, a certain Nicholas Ahier, the son of a merchant. 'I am sorry to say that he has come before me in the King's Court,' said the lord. 'He does not want for learning, but spends too much time in taverns, pursuing serving-girls, and brawling with any others that do the same. I am sure that the rigours of the journey would improve his character, and that six months spent with you among the holy places would give him more to think on than six years passed among the whores and braggarts of Saint Helier.'" A further visual preview of the story is available on Pinterest.